Welcome to Delta Locksmith home of the leading locksmith technicians in the Dallas Fort Worth area. We are a team of highly certified and well-trained professionals able to perform comprehensive auto locksmith services 24 hours a day. It is our goal to show what professional service looks like, as well as provide honest pricing and quality labor. If you’re looking for a car locksmith that can help you in the Dallas Fort Worth area you have found us! One of the sorriest things we must always advise against is trying to pick a lock yourself. We have the right tools and knowhow to do the job without harming your vehicle in any way. You want to make sure you can keep driving your car, so call professional Delta Locksmith technicians and get it all resolved quickly! And if you have lost a car key don’t go to your dealership and pay extreme prices, call us! We can replace any car key, even specialty keys, for an honest affordable price- and faster than any dealership too! Car Key Experts Provide Help On-The-Spot! As the leading auto locksmith in Dallas Fort Worth, we at Delta Locksmith have studied those expectations given to professional locksmiths and strive to go above and beyond. Our technicians are ready night and day, literally 24 hours a day and no matter where you are in the DFW area we’ll respond in 30 minutes. Our vans are equipped to the brim with every tool and software you might need to make your day a little bit better as we help to fix your problems on-the-spot. We provide auto locksmith services in the next locations: Dallas, Houston, Fort Worth , Irving, and more. What is your car model and car key type? We can not only pick locks, extract broken keys, or unlock locked cars, we can also cut any kind of key, right there on location. 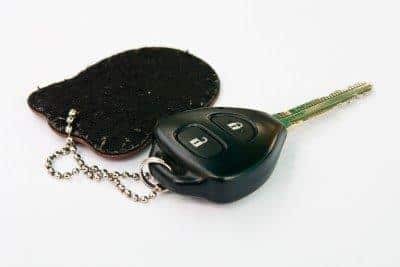 This means whether you have a laser cut key, transponder key, switchblade key or a regular car key we can help you get that key back in hand and get you on your way! We are also your one-stop solution for ignition repair and installation. We can rekey locks, replace locks, restore and maintenance locks, and of course pick or open jammed trunk locks.We service any model or type of car as well.